Althea's events sell out so sign up soon! Let go of what’s been holding you back and create the life you want! Are you feeling stuck? If you’ve been asking yourself why you haven’t attracted the partner, career, or something else you’ve always wanted - join Althea for this workshop and find out how you can create a more empowered life. We are multi-dimensional beings that live our lives through perceptions that are often misunderstood. The process of adapting and understanding energy and how we communicate with the universe is how we manifest. In this workshop you’ll learn how to identify self-limiting beliefs, thoughts, fears, and the self-sabotage most of us have experienced that have kept us from success, abundance, love and more. You will also learn how to recognize, reevaluate and change these perceptions. Through these processes it becomes easier to start taking the right actions and manifest a more productive and positive life. Designing and creating a five-year plan during the workshop will help keep you focused on your desires, which in turn will help you attract better experiences that create happiness and fulfillment. 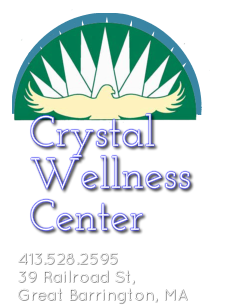 her private Medium sessions at Crystal Essence.